Just came from another visit in Izu Peninsula! This time another two and half hours car trip took us to Heda, a harbor part of Numazu City at the Western top of Izu Peninsula across from Mount Fuji. 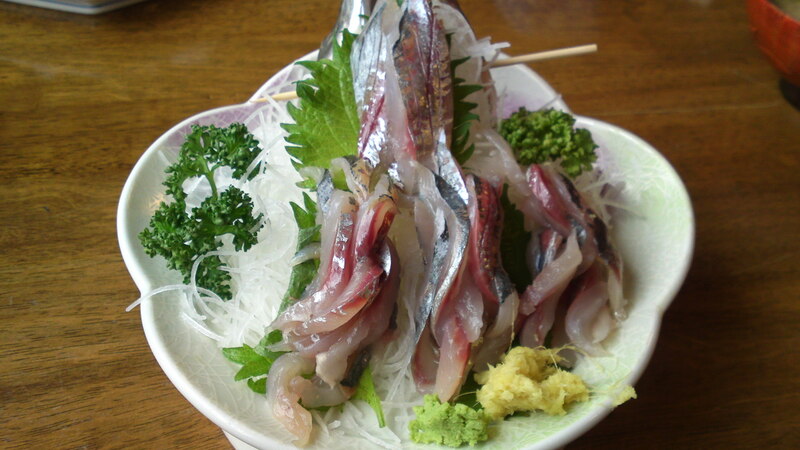 Although a small harbor, Heda is well-known for one seafood I’ll introduce later! We were not very fortunate today as the skies were overcast. By fine weather you can admire Mount Fuji in its full splendor just through the narrow gullet leading to the harbor waters. 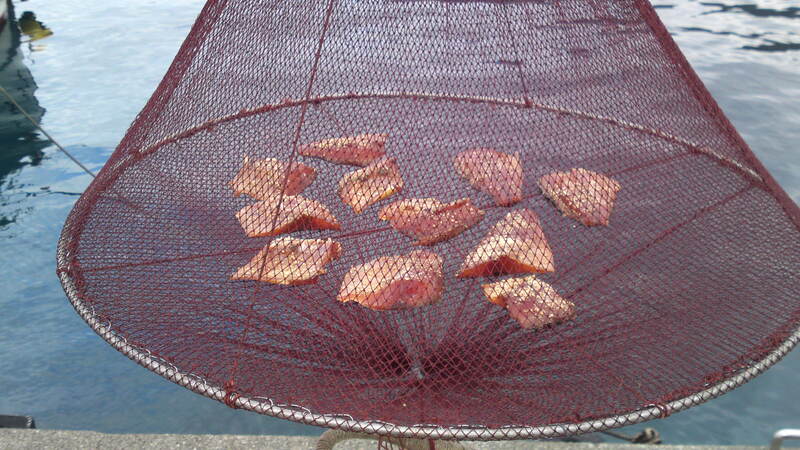 No, this was not freshly caught from the sea! 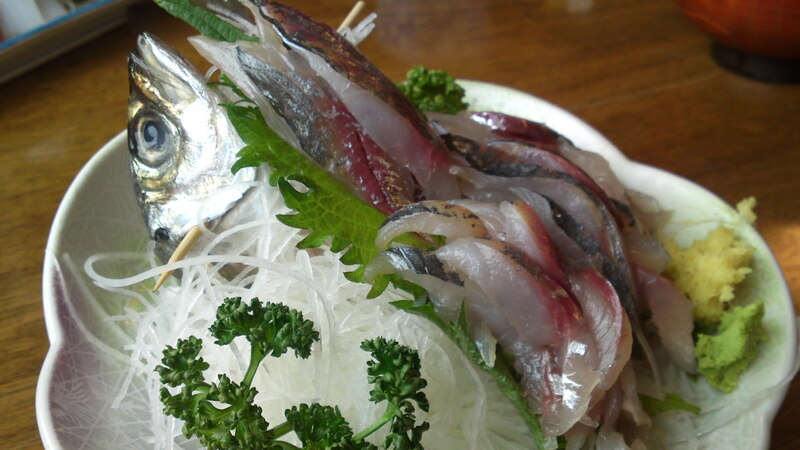 Izu Peninsula is celebrated for its dried fish/himono/干物! Here is the place we chose to have lunch. Can you see the big crab? 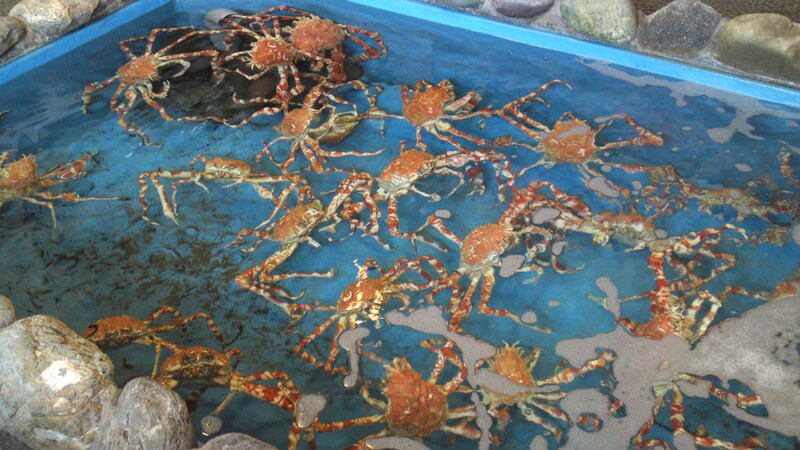 The speciality I was talking about: Takaashigani/Long-Legged Crabb/高足蟹! These are small to medium-sized specimens. 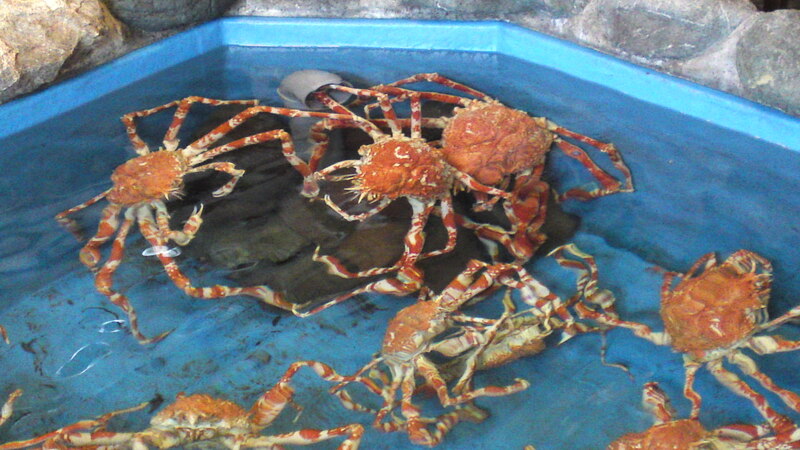 Takaashigani is the largest crab in the world and it is caught only in Suruga Bay! Now, this is the real size. The pincers’s full length is over 1 metre each! As we came there for work, we skipped the Takaashigani Lunch Set, which simply too big and opted for two different local sashimi lunch sets! 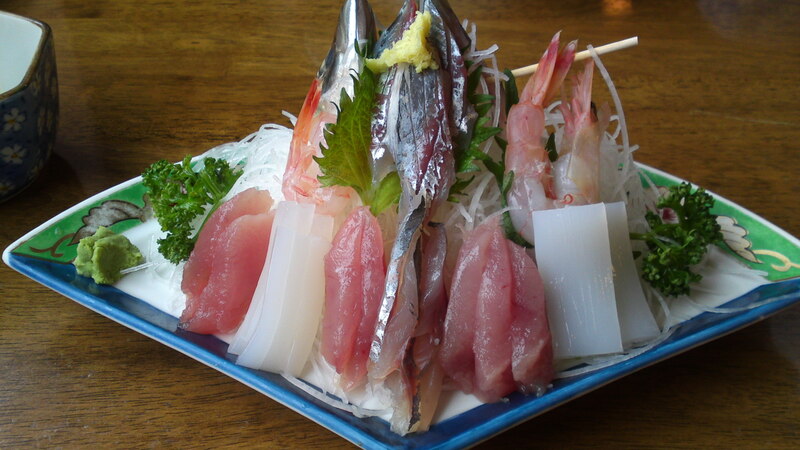 I chose the above: Amaebi/Sweet Shrimps/甘エビ, maguro/tuna/鮪, ika/cuttlefish/烏賊, and aji/hose mackerel/鯵. 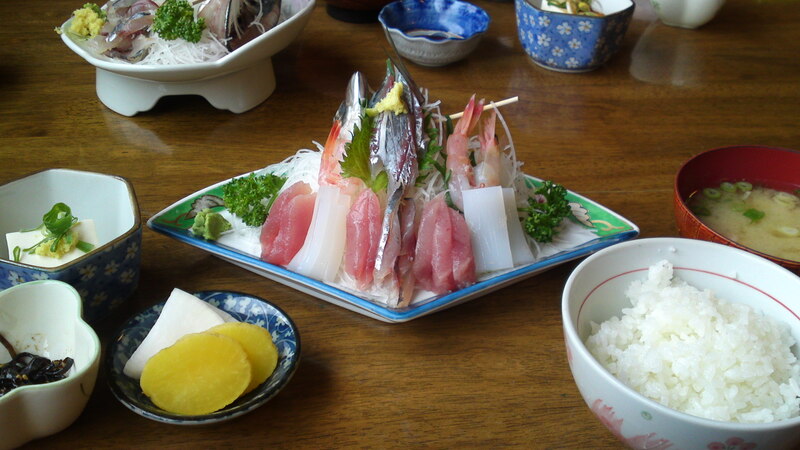 My friend chose the single fish sashimi lunch set featuring horse mackerel! There is need to say that the fish was freshe than anywhere else! I was about to forget: and so delicious! Moreover, Heda is worth a visit for its touristic charm! Can you see the “torii/鳥居” in the distance? 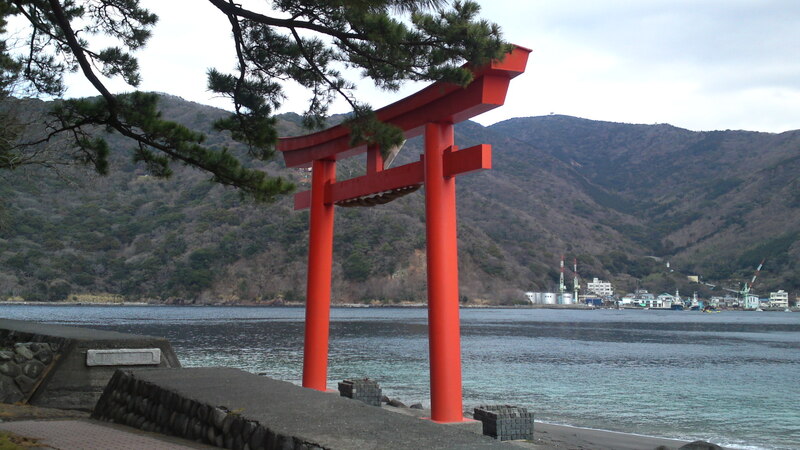 A torii is a gate found at the entry of Shinto Shrine. The Shrine is there for the safety and prosperity of the local fishermen and households! 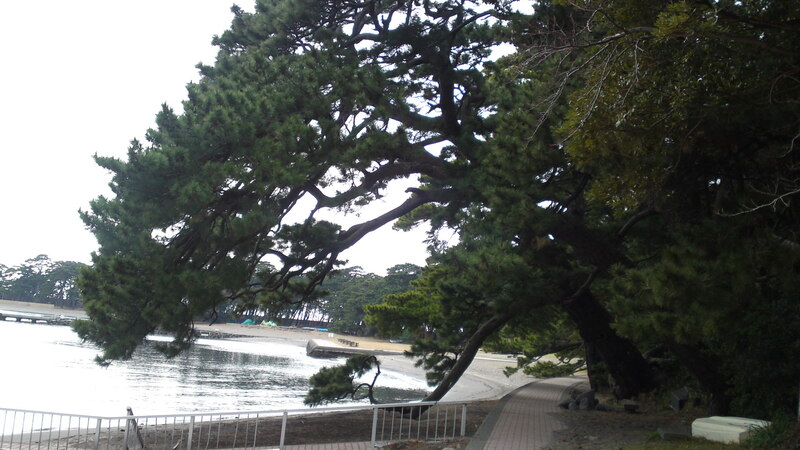 Do visit after a nice walk along the small beach or through the pine grove! Access: Train & Bus= change trains at Mishima JR Station and go to Shuzenji. 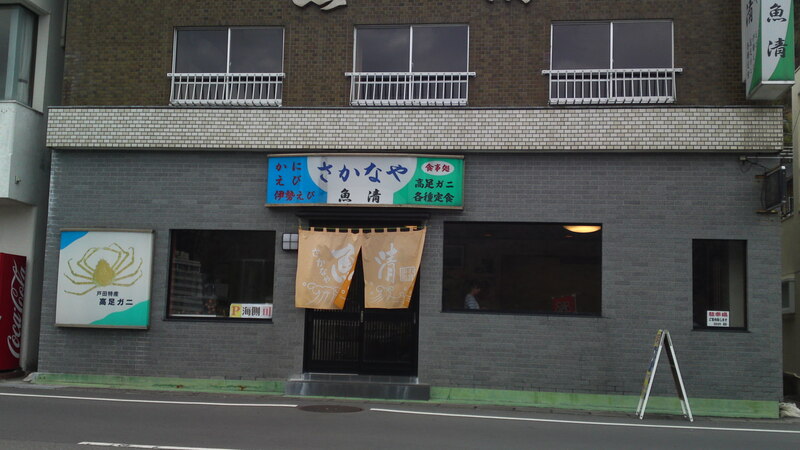 Get off at Shuzenji Station and take a bus to Heda. 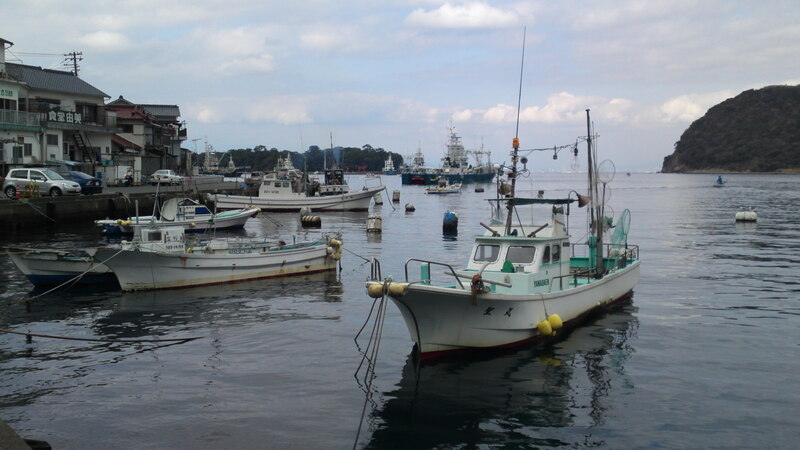 By boat: Take a bus from Numazu JR Station to Numazu harbor and board one of the regular ships. 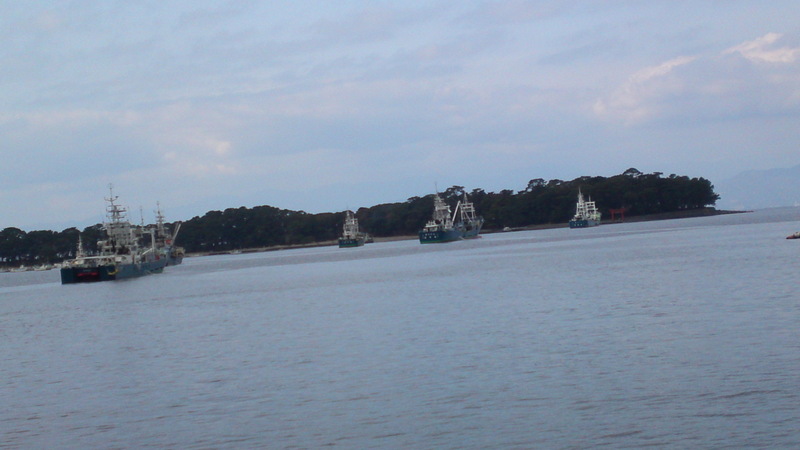 By Car Ferry: Board at Shimizu harbor and land at Doi, then drive to Heda. 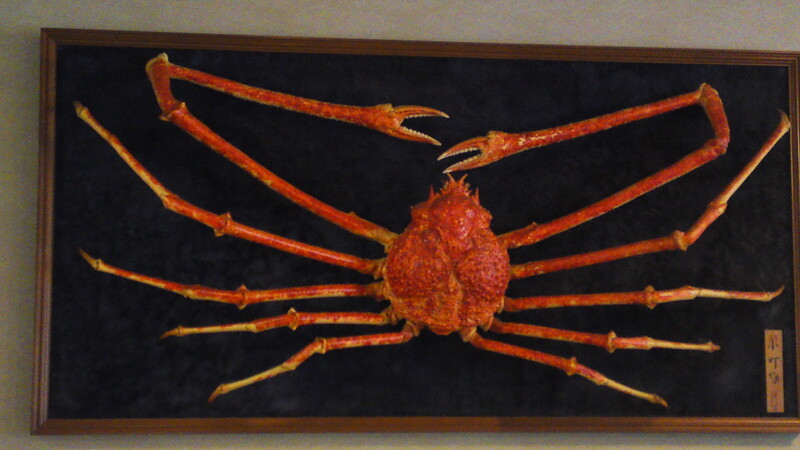 I am interested in buying a giant crab of over 2 meters in open arms, really huge, whole, frozen or dry. You can send him to Italy, or you have business contacts in Italy? I’m afraid, especially in Italy that it will be stopped at the Customs! Now, if you can prove that you can obtain a permit I might be able to get one, although of this size it might prove very expensive.